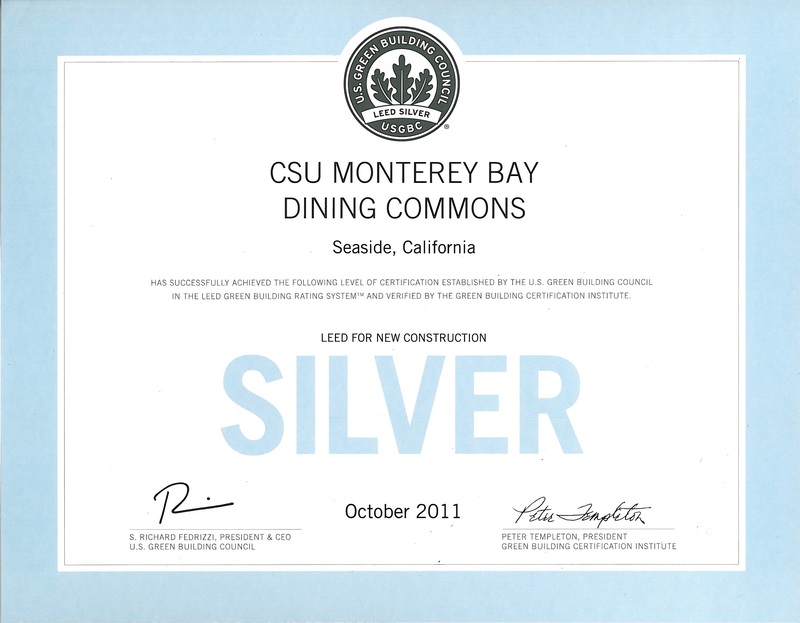 The Dining Commons for California State University, Monterey Bay, CA is a rehabilitation project of a military facility in Fort Ord in Monterey Bay. The facility serves 5,000 students three meals per day with a fully automated commercial kitchen and dishwashing equipment. Campus staff had a plan in place for serving the students outside of the facility, but with focused dedication on everyone’s part, the facility was open for business on the first day of school after summer break. 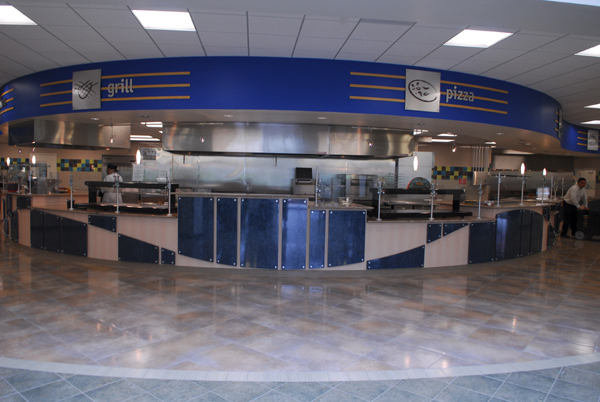 This project included the demolition and reconstruction of 11,000 square feet of student commercial kitchen and dining hall building, including new storefront entrance, radius roof with exposed wood beams, structural steel framing, serpentine quarry tile servery, conveyor dishwashing system, custom booth and banquette seating, and a commercial kitchen designed by McCluggage Van Sickle & Perry. This project design intention to attain LEED Silver Certification included a sustainable site, water efficiency reduction, commissioning, building and materials reuse, indoor environmental quality, and innovation of design. Dan Silverie III received the Silver Award for LEED for new construction for their achievement in making this project meet Green building standards and reflect environmental responsibility.